Yesterday my brand new Kindle Touch Wifi froze! The screen was stuck on a page and it did not respond to any screen touch or button press any more. In the Amazon Kindle Touch FAQ I was instructed to press the ON/OFF switch for 20 seconds where after the screen would flash and the Kindle would reboot. Unfortunately not mine! In which case I was invited to contact the Amazon Support desk. Since it was Sunday and I was in NL about to leave for the airport to return home I send an email to Amazon's Italian support desk, hoping to get an answer on Monday morning. When I arrived at the airport I noticed someone tried to call me 4 times but since it was from a private number I didn't know whom to call. After check-in and security control we sat down, enjoying a cup of coffee and the FREE Wifi on CGN (Cologne-Bonn) Airport. *blieb* you've got mail. A mail from Amazon, first apologizing for the inconvenience with the Kindle Touch and noticing that she (Giovanna from Amazon Support) tried to contact me via phone a couple of times and if I could please verify the number since she did not reach me... the four missed calls obviously. I responded by mail that I was travelling at the moment and she could reach me after I landed or the next day (today). I don't know why but I missed another (private) call around 21:00 yesterday evening, I probably need a louder ringtone. So nevertheless being Sunday and Sunday evening even. Amazon's customer service employees tried to contact me to solve my issue. That is great, it even makes me forget the problems I had with their device! Had? Yes, I HAD problems, because this morning I tried the reset once more, without any luck, the screen was still the same, but when I looked after half an hour again, the Kindle was functioning normal again... the battery ran empty though (from 90% to 10% in less then a day judging by the battery indicator). So I send and email to Amazon saying the Kindle was back alive and thanked them for their efforts, even got a friendly email back again. This was my second experience with Amazon.it's support (also the other one was very positive despite the problem) and I must admit that although you might sell the best or cheapest products online, there's always something that can go wrong. How you counter and handle these issues makes the difference! 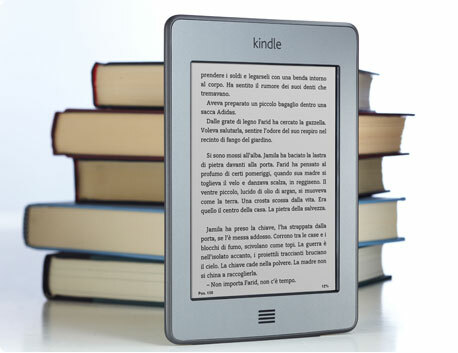 is dat nog wat zo'n kindle? gebruik je hem veel? is het aan te raden? of is het toch minder dan een boek met echte pagina's en zo... kun je ook buiten lezen of weerspiegelt dan alleen de zon?